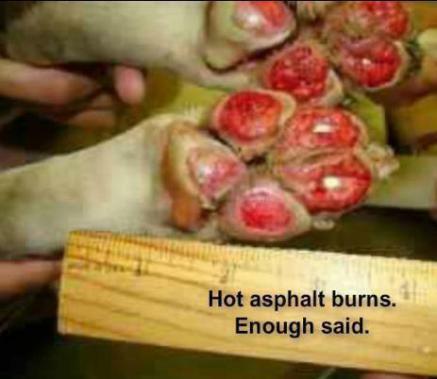 Why walk your dog on hot asphalt or concrete when you don't! A dogs paws are not like steel. 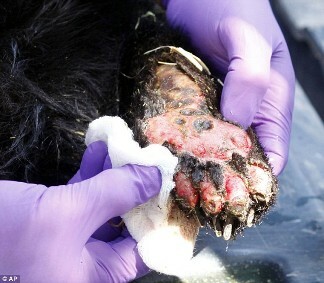 The paws have a thick layer, but not thick enough to withstand the hot scorching asphalt. The paws in compairson are like you feet or hands having a calius. PLEASE DO NOT WALK YOUR DOG ON ASPHALT!